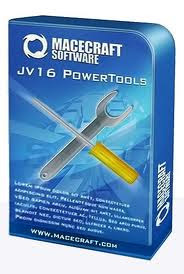 jv16 PowerTools is the ultimate registry cleaner and Windows tuneup utility suite. You need oil to keep a car engine running. You need jv16 PowerTools to keep Windows running. With major performance and user interface improvements, jv16 PowerTools 2012 is set to offer its ever expanding user base an increased level of computing performance, security and control. The Windows Utility software has been hugely popular for over a decade as it allows Windows to operate more smoothly, faster and in a much safer manner. The software is simple to use and its main tools work by upholding the integrity of the virtualsoftzone.blogspot.com Windows registry. Besides this very important task, jv16 PowerTools also brings a number of other very useful functions to the table. It is for these reasons that jv16 PowerTools has built such a loyal following. Users understand the need to have a smoothly running system, more control over their privacy and more protection against malware. The 2012 edition comes with significant improvements such as a brand new tool called Immunize My Computer. The tool allows users to update their system host file quickly and easily by blacklisting known malware spreading websites. This can all be done with a single click. - Even more powerful scanning features have been added to the Clean and Fix My Computer, providing greater safety and security for users. - Major performance enhancements of the Software Uninstaller. This tool can now quickly find and list more software leftovers that block up the system, and can then uninstall this data. - Users now have much easier access to Mass file rename, merge files, split files, remove files on reboot, find and replace data inside files and wipe files features from the main program window. - Improved performance of the Disk Wiper. - Improved accuracy of the registry cleaner engine. - Full support for Windows 8. - Updates to translation files are now downloaded automatically Macecraft server, no need to download the entire program again only to get a new version of a translation. - Bug fix: The program can show an error "data.xbin corrupted" when starting. - Bug fix: Registry Compactor can show an internal error while doing the second phase of compact. - Bug fix: History Cleaner can report "failed to access" error when run in non-English version of Windows. - Bug fix: Running the Registry Cleaner (or Clean and Fix My Computer) can cause the list of accounts to disapear from Windows 7 login screen. The problem can be solved by restoring the backup created by PowerTools. - Bug fix: Removing specific kinds of data with the Registry Cleaner or any other registry tool of PowerTools can cause the program to crash to Access Violation at address 006C13A4. - Bug fix: Program can show "The application seems to be frozen." error message while running the Registry Cleaner (or Clean and Fix My Computer) with specific data in the registry. - Bug fix: Creating a desktop shortcut for specific tools might not work correctly. - Bug fix: Backup tool can show a backup in the wrong section, for example a File Cleaner backup under the Registry Backups tab. - Bug fix: Some tools, such as Mass Rename Files and Remove Files on Reboot had too little space for translated button captions. - Bug fix: The program can ask permission to check for new immunization data twice in a row. - Bug fix: The Action History menu item in the main window´s File menu does not work. - Bug fix: Cannot translate the Delete item in context menu in the Mass rename tool. - Bug fix: Cannot translate the "Tag" item in the Startup Manager. - Bug fix: The program can crash to Access Violation after closing the History Cleaner. - Bug fix: The captions of the following tools cannot be translated: File tool, Immunize my Computer and Directory tool. - Bug fix: System Optimizer can in some systems show up as a blank window without any content. - Bug fix: The desktop shortcut for each of the tools has the jv16pt.exe icon, not the icon of the specific tool. - Bug fix: Hungarian translation is always installed, yet it doesn´t show in the Setup´s list of available translations. - Bug fix: Some tool windows, for example the Settings window, do not show the currently active tab selection rectange. - Bug fix: The user interface of the Registry Cleaner (and Clean and Fix My Computer) can get confused with 64 bit registry data and this causes the Open in RegEdit feature to sometimes open an incorrect key. - Bug fix: Uninstalling PowerTools can leave the "Buy jv16 PowerTools" shortcut to desktop. - Bug fix: Uninstalling PowerTools can leave PowerTools´ tool shortcuts to desktop. These can be created from the main window´s Tools > Add shortcut to desktop... menu. - Bug fix: Settings Integration with Windows feature doesn´t work properly. - Bug fix: Fixed a few typos from the English user interface (English.lng). - Bug fix: Immunize my Computer can ask the permission to connect the Internet two or three times in a row. - Bug fix: Decrypting a file can crash the program to Cannot focus a disabled or invisible window error message. - Improvement: Added a command line switch "-Immunize" to start the Immunize My Computer tool. - Improvement: Made the "Undo Immunization" feature easier to find from the Tools menu of the Backup tool. - Improvement: Added a recommendation for the user to restart the program after disabling or enabling the Tag System, as its settings are not updated on-the-fly to already opened tools. - Improvement: Made the GUI of the program more responsive. - Improvement: All the found items are now automatically checked when uninstalling a software with the Software Uninstaller. - Improvement: Updated most of the user interface icons. - Improvement: Added Settings, Backups and Action History to Main Window > Tools > Add shortcut to Desktop. - Note: The implementation of Settings > Integration with Windows has been changed.